Trader Joe’s carries a delicious juice that combines so many different ingredients, you wonder how it can taste the way it does! 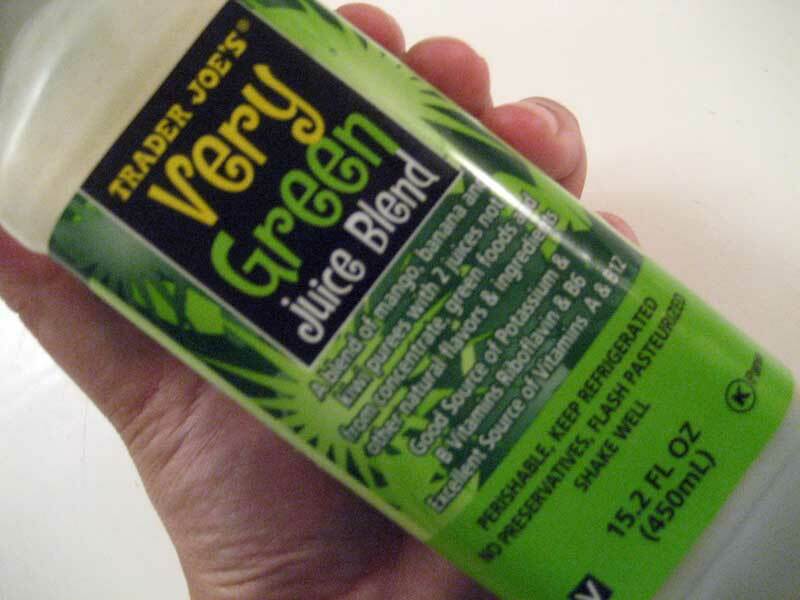 Trader Joe’s Very Green Juice Blend is a blend of mango, banana and kiwi with green foods including broccoli, spinach, parsley, blue green algae, wheat grass and barley grass. It is delicious and a great source of vitamins. Yes, it does have 140 calories per serving and doesn’t look super appealing, but the vitamins you are getting from this Vegan, natural juice makes up for it.